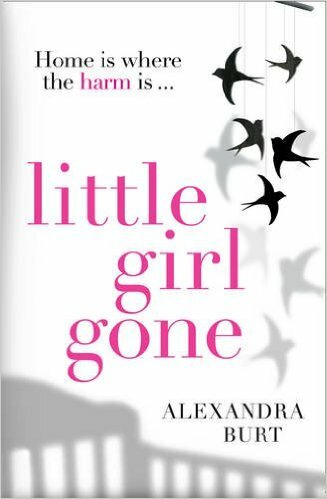 The story opens with Estelle Paradise waking up in hospital battered, bruised and missing an ear, you know this is going to be a roller-coaster of a thriller and that is exactly what Little Girl Gone by Alexandra Burt brings to the reader. Estelle is pulled from a car wreck and is suffering from amnesia she cannot recall what happened though the one thing she does know is that her baby daughter is missing. But she has not reported the crime to the police. So what exactly has happened baby Mia Connor? Do not be confused with the best-selling Gone Girl but this is just as gripping with many twists and turns everyone connected is seen as a potential suspect. It transpires that baby Mia was not only taken from their apartment but everything connected to Mia has also gone, as if erasing the fact she ever existed. We learn the Estelle is living along while her husband Jack is in Chicago working as a lawyer. Is Estelle coping at being a young mother and Mia’s constant crying is slowly getting to Estelle she also feels that Jack has little understanding of her problems. To put it mildly their marriage is somewhat shaky. Jack has an attitude of ‘just get on with it’ Then waking one day to find baby Mia has gone and with it all trace she ever existed. So the accusations start to fly and now she is under suspicion. There is no trace of baby Mia and now Estelle is under suspicion and is facing trial for killing her baby, can she recall what happened? Why does she keep thinking of seeing Mia covered in blood? The story of Jack and Estelle comes with flashbacks to when they first met and the time Mia was born and the struggles on adjusting to parenthood. Slowly but surely as we progress with the story Estelle begins to recover her memory. Little Girl Gone starts brilliantly and gives promise to the reader of what is to come with many twists and turns and we slowly start to uncover the terrible truth of what happened to Mia Connor. The main-part of the story is really quite believable with hidden messages of post-natal depression, paranoia, relationships, failing marriage. I really thought all of these where to play a major part in the end game of this exciting novel. But getting inside the mind of Estelle Paradise is part of the journey here, and this is makes the story gripping. So to sum up Little Girl Gone, did she do it? Well you only have to wait until 24 September when it is published. Alexandra was born in Germany. After her college graduation she moved to Texas and, while pursuing literary translations, she decided to tell her own stories. After three years of writing classes her short fiction appeared in the Freedom Fiction Journal, All Things Girl, MUSED Literary Review, and Heater Crime Fiction Magazine. She is a member of Sisters In Crime, an organization promoting the advancement, recognition and professional development of women crime writers. She live in Texas with her husband, her daughter, and two Labradors. Little Girl Gone is her first novel.